Kirk Bell March 29, 2018 Comment Now! Lincoln has been Ford's wayward son for decades. But suddenly the brand that didn't seem to have a direction has one. 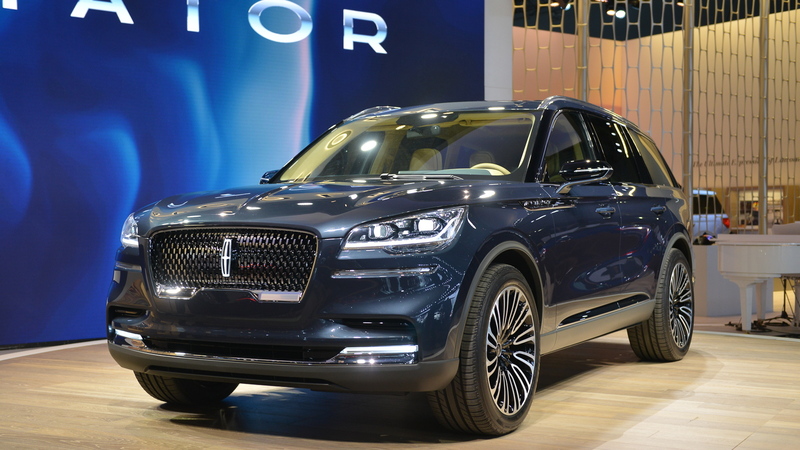 The future at Lincoln involves more SUVs and more electrification, and both are embodied in the reborn Lincoln Aviator. We last saw the Aviator in 2006, when it was a gussied up Explorer. Now it's a 7-passenger crossover that looks fashionable inside and out, with hints of Jaguar and Land Rover styling themes. The Aviator marks the debut of a new rear-wheel-drive platform, and it will also offer all-wheel-drive. Lincoln isn't talking powertrain specifics, revealing only that the engine will be twin-turbocharged and that a plug-in hybrid option will be offered with the same engine. 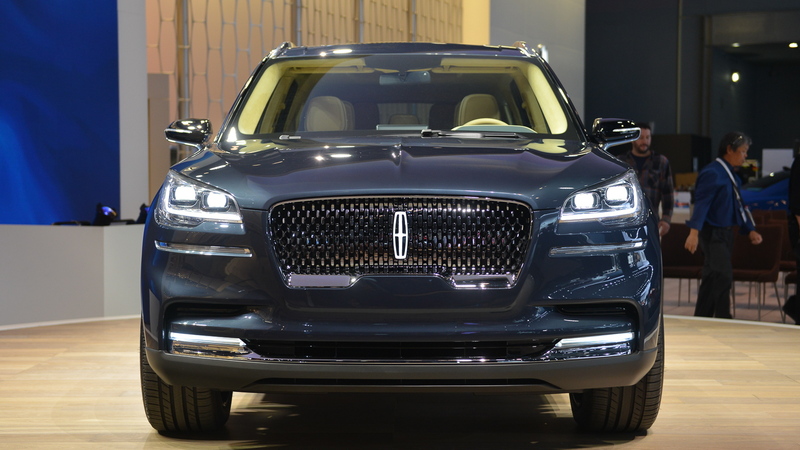 The brand claims the plug-in hybrid will make the Aviator the quietest, smoothest, and most powerful Lincoln to date. That makes us curious about the horsepower figure, as well as the electric driving range. 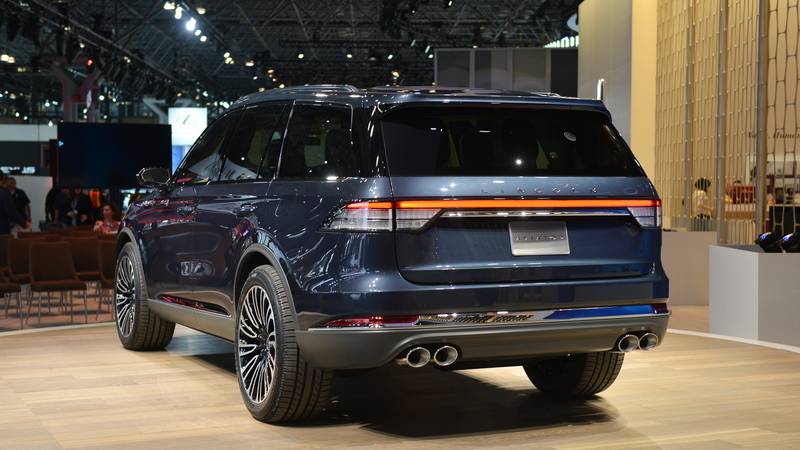 Part of what will make the Aviator the smoothest Lincoln is the new Suspension Preview Technology, which uses a forward facing camera to scan the road ahead and prepare the dampers for ruts and bumps. Most of the luxury, however, will be on the inside, and buyers won't need keys to get in. Instead they'll use their smartphones, and an exterior keypad will act as the back up. This interior is tan and Aviation Blue with machined turned aluminum appliques, and it features Lincoln's optional 30-way adjustable front seats that can relax occupants with a massage function. The second row slides and reclines. Up front, a large center screen runs the latest Sync infotainment system, and this version can anticipate the driver's needs. For instance, it will trigger the navigation system to find a gas station when fuel is low. 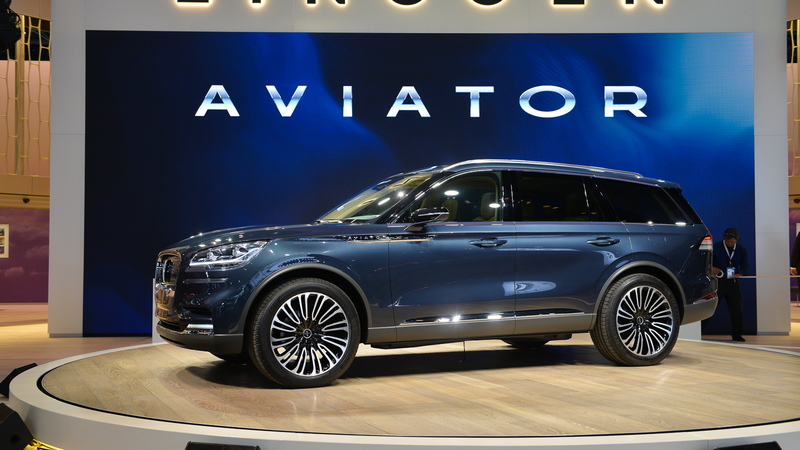 The Aviator will be outfitted with the Lincoln Co-Pilot360 suite of safety features and it will go one step further by offering an optional feature that applies the brakes if the vehicle might hit something while backing up. 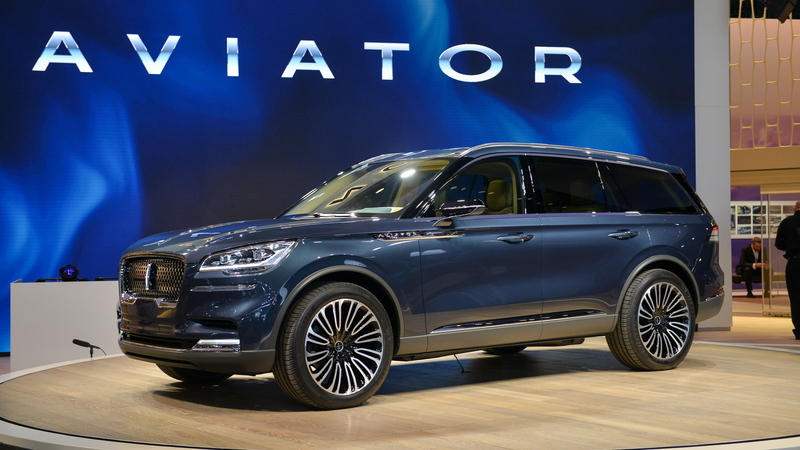 The Aviator will take on rivals like the Audi Q7, Acura MDX, and Volvo XC90 when it goes on sale next year.